Basements, both finished and unfinished, tend to become the catch-all storage area for everything, including holiday decorations and that old Singer sewing table you inherited from your parents. Keeping a few odds and ends downstairs isn’t a problem. But when stacks of boxes start disappearing behind more stacks of boxes, that’s when you have a clutter problem. 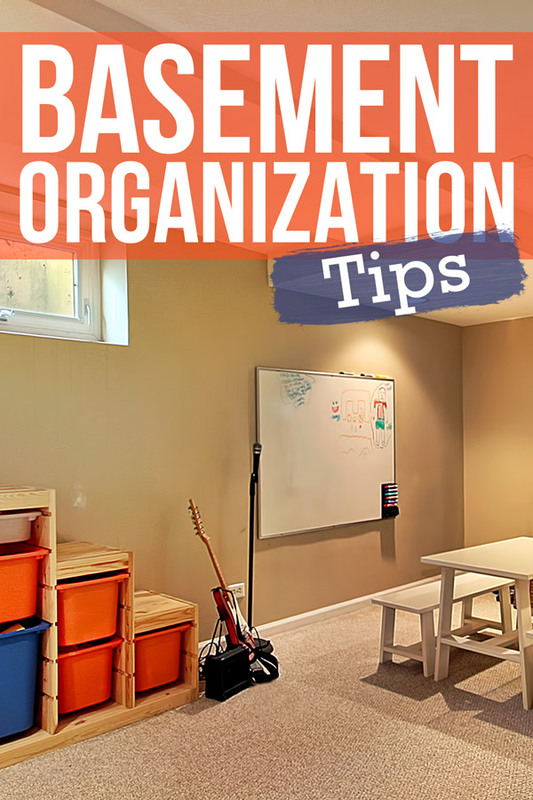 Fortunately, organizing your basement doesn’t have to drag on for weeks on end. 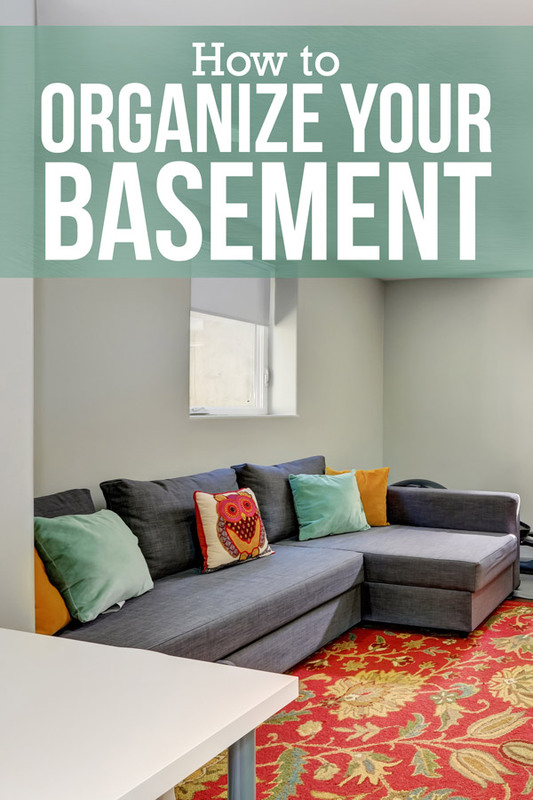 We’ll show you how to organize both a finished and unfinished basement using storage ideas that will keep your space clean for good. 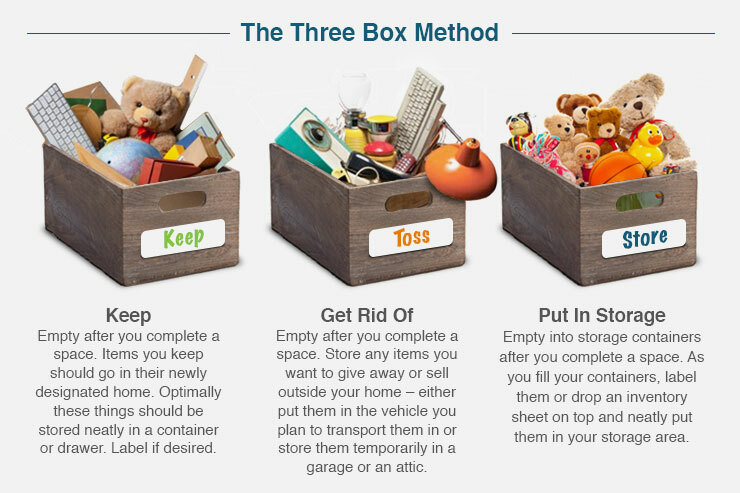 Use the three-box method featured in our ridiculously thorough decluttering guide to help you organize the things you want to keep, sell or donate. 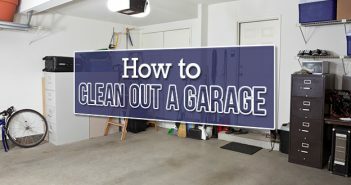 Another good tip for cleaning and organizing your basement: if you come across something you haven’t used in the last six months, it’s probably time to pitch it. What you should keep are things that your family uses on a regular basis, as well as important documents that you need to hold on to. Now that you know what you need to store in the basement, it’s time to find a home for all of it. Start by moving anything heavy, such as a foldable table or bins of documents, near the stairs. This will cut your travel time if you ever need to bring any of these things upstairs, sparing your back. After that, group similar items together to make finding a space for them easier. 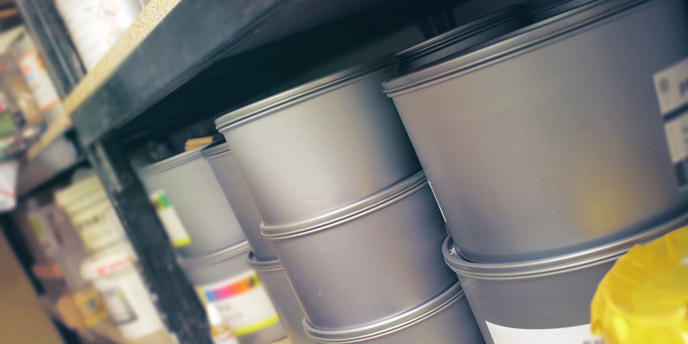 If you keep spare cans of paint in the basement, put them on a designated shelf along with other household supplies. If you have a workbench in the basement, keep your tools on a pegboard above it and any hardware on a shelf near it. Rinse and repeat for anything else you’re keeping, such as holiday decorations or laundry necessities. With unfinished basements, your storage options are wide open. One clever idea is to add wire shelves to your ceiling. Simple staple a few panels of wire shelving to the joists above and you’ll have plenty of space for light storage containers, or even a Christmas tree or two. Shelves are a must for basement storage, both finished and unfinished. Using bins with your shelving will make the entire organizing process easier, and you won’t have to spend ten minutes looking for that one thing you’ll need again in a few days. No matter what kind of shelving or bins you choose, make sure you label every storage unit. This will help you keep track of where things are and where they should go if family members leave them out. Nettie Owens recommends using adhesive pockets like these so you can easily swap out labels. If you’re using wooden shelves for storage, you can apply chalk board paint to the front and label each section of shelf with chalk. 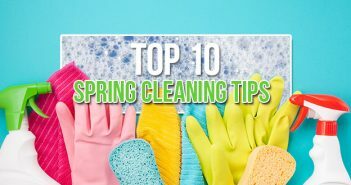 Have any other tips for cleaning and organizing a basement? Let us know in the comments.